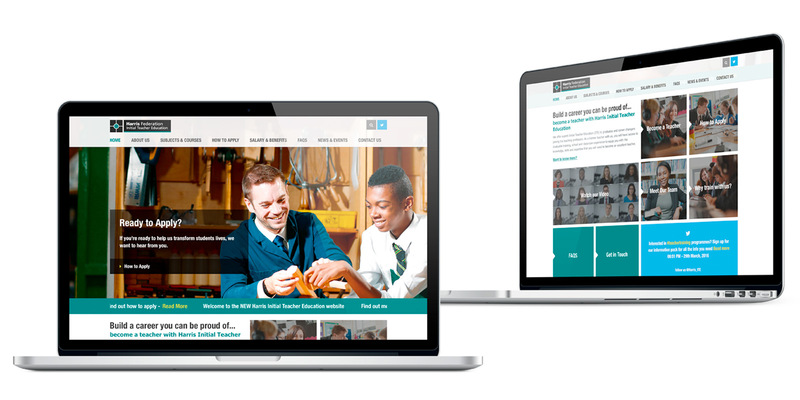 As a continuously expanding trust the Harris Federation required a dedicated website for Teacher Training. On the website the homepage video is the centre of attention, using a large graphical panel and links to the video on the homepage header banners too it will be the first call-to-action visitors make. The trainees were also a focal point for the website, giving visitors the impression they are meeting current trainees we designed a module which displays a narrative for each person, displays a twitter feed of each trainee’s personal twitter journey and shows the blog articles they have written for Harris.